Innovations in plant and animal biotechnology offer tremendous opportunities for advancing public health. Promising new technologies that can edit animal and plant genomes have the potential to improve human and animal health, animal well-being, food productivity and food security. New forms of biotechnology allow modification of living organisms, such as plants or animals, in order to produce a new product, such as a novel pharmaceutical, new food variety or disease-resistant crop. These are just some of the new plant and animal-based biotechnology innovations that are opening up new opportunities to improve public health. At the FDA, we?re committed to fostering advances in this field while ensuring the safety of plant and animal biotechnology products used by consumers. The FDA is taking new steps to put in place modern regulation that fosters innovation in this emerging space. Today, we?re announcing our new Plant and Animal Biotechnology Innovation Action Plan. This new plan advances policy priorities that the FDA will pursue to clarify our science-and-risk-based approach for product developers; avoid unnecessary barriers to future innovation in plant and animal biotechnology; and advance safety and our public health mission. Our Action Plan works to address questions we regularly receive from biotechnology stakeholders, including developers of these products and public health interest groups. This new plan identifies priorities in three important areas: 1) advancing human and animal health by promoting product innovation and applying modern, efficient and risk-based regulatory pathways; 2) strengthening public outreach and communication regarding the FDA?s approach to innovative plant and animal biotechnology; and 3) increasing engagement with domestic and international partners on biotechnology issues. Many of the priorities identified in our Action Plan are well underway. We will be seeking public input as appropriate, over the coming year, with the expectation of continuing implementation and making meaningful progress on the Action Plan?s commitments in the months and years ahead. As a first step, the FDA will adopt a comprehensive policy framework for the development and regulatory oversight of animal biotechnology products, including for intentionally genetically altered animals and the food and drug products derived from them. This modern, flexible framework will advance the agency?s commitment to safety while promoting innovation in this space. Our shared goal is to help usher in new, beneficial and safe products to consumers and animals as quickly and safely as possible. As part of this effort, the agency intends to publish two guidance documents over the next year. These new guidances will provide more clarity on how the FDA is applying its regulatory oversight to evaluate new animal biotechnology products based on the risk profile of various products. In addition, the FDA?s Center for Veterinary Medicine (CVM) intends to hold a public webinar on Dec. 3, during which we?ll discuss the science behind genome editing in animals, the promising uses of this technology in animals and the potential risks, and information about CVM?s flexible risk-based approach to the regulation of intentional genomic alterations to animals. CVM will also address some of the common misconceptions about the FDA?s regulation of these products. At this webinar, the FDA?s Center for Biologics Evaluation and Research will also provide information about genome editing used in producing human products, including those for use in xenotransplantation, and how these products will be regulated. We?re also piloting a new Veterinary Innovation Program (VIP) for developers of intentionally genetically altered (IGA) animals and animal cells, tissues and cell- or tissue-based products (ACTPs) that are seeking the FDA?s approval of a new animal drug application. The program will provide intensive assistance for developers of IGA animals or ACTPs that benefit human or animal health, animal well-being or food production. The goal of the VIP is to facilitate advancements in the development of innovative animal products by enhancing certainty in the regulatory process, encouraging development and research, and supporting an efficient and predictable pathway to market for certain, innovative animal products. Building on the agency?s more than 25 years of world-class plant biotechnology evaluations, the FDA also intends to publish guidance to clarify our regulatory approach for plant biotechnology products for human and animal food. The FDA has evaluated the safety of food from more than 180 varieties of genetically engineered plants. Many of these products are consumed by Americans every day. The guidance will provide the clarification necessary to help small and medium size firms understand their responsibilities under our regulatory framework so that they?re better able to navigate the regulatory pathway toward bringing safe, innovative plant biotechnology products to market. Another key focus of our Action Plan is a robust communications and engagement strategy designed to continue collaborations with a wide range of stakeholders to understand their views on how the FDA can best support safe innovation in plant and animal biotechnology while addressing and appropriately considering any potential risks. Such outreach is crucial to help ensure that the FDA is fostering innovation while at the same time helping the agency uphold its mission of protecting and promoting public health. We?re dedicated to increasing this coordination with all stakeholders, including small developers, in order to improve their understanding of the FDA?s regulatory approaches, to develop and advance new approaches, and to take all steps necessary to help ensure that products developed using biotechnology meet the FDA?s safety standards. We?re also committed to continued collaboration with our federal partners, including the Environmental Protection Agency and the U.S. Department of Agriculture, as we evaluate ways to make more transparent, predictable and efficient our oversight of products developed using genome editing and other new plant and animal development techniques. As the final element of our Action Plan, the FDA remains committed to efforts with domestic and international partners to foster efficiency and regulatory cooperation and enhance regulatory science. For example, we hope to engage in a dialogue about how transformative biotechnology tools, such as genome editing, may eventually be used to help address vector-borne diseases like the Zika virus. We believe that our actions in plant biotechnology regulation will further establish the FDA as a global leader in the regulation of plant biotechnology products, while also positioning us to set the standard in discussions with our international partners regarding appropriate regulatory oversight of plant biotechnology food products. The Action Plan is intended to help the agency ensure the safety of plant and animal biotechnology products, foster continued public confidence in the FDA?s regulation of these products, and avoid unnecessary barriers to future innovations that align with our mission. We look forward to collaborating with all biotechnology stakeholders as we work to promote efficient and clear regulatory pathways that enable these novel products to enter the marketplace and ensure that they meet applicable safety standards. 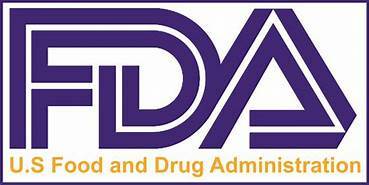 The FDA, an agency within the U.S. Department of Health and Human Services, protects the public health by assuring the safety, effectiveness, and security of human and veterinary drugs, vaccines and other biological products for human use, and medical devices. The agency also is responsible for the safety and security of our nation?s food supply, cosmetics, dietary supplements, products that give off electronic radiation, and for regulating tobacco products.